Democrats hoping to win back control of the House in November’s elections are quietly preparing to launch an oversight blitz, resurrecting old lines of inquiry and dozens of stalled subpoena and document requests into the Trump administration if they regain the majority and the subpoena power that comes with it, according to aides and lawmakers. They see the potential to investigate the White House, Trump administration and the Trump Organization on a wide range of topics related to the president, cabinet agencies and businesses with ties to the administration. Lawyers are contacting senior Hill aides and outside liberal groups and discussing potential job openings in anticipation of a demand for dozens of new investigators on Capitol Hill and around Washington should Democrats win at least 23 seats in November, according to sources familiar with the informal conversations. 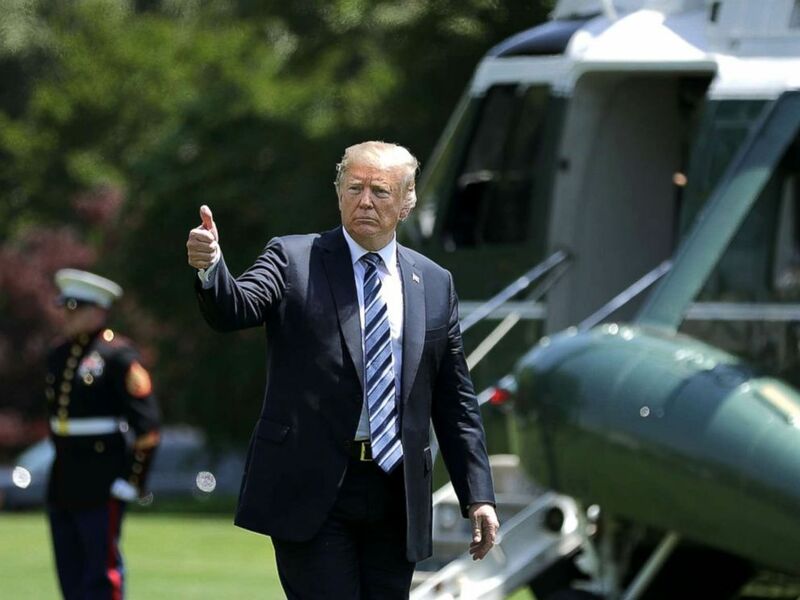 President Donald Trump gives a thumbs up as he walks across the South Lawn after returning to the White House on May 25, 2018, in Washington, D.C. Trump delivered remarks at the U.S. Naval Academy graduation ceremony in Annapolis, Maryland. Democrats on the House Oversight Committee have a list of more than 50 subpoenas and inquiries denied by Republicans that lawmakers and aides say will be revisited if Democrats win the House. “The keyword for all of what we’ll be doing is accountability,” Rep. Elijah Cummings, D-Md., the panel’s top Democrat, told ABC News. Democrats on the House Intelligence Committee, frustrated by Republicans’ investigation into Russian election interference and possible ties between the Trump campaign and Russia, say they plan to demand testimony from more than 30 witnesses – including Trump family members and confidants -- to address lingering questions they have about the Trump campaign’s activities. Republicans on the committee released a 200-plus page report last April that found no collusion between the Trump campaign and Russia, and also detailed the Russian election interference effort and government’s response, in addition to policy recommendations. “If Democrats take over the majority, we will take our oversight responsibilities seriously, both with respect to the intelligence agencies under our charge but also with respect to any work left undone in the Russia probe by the majority,” Rep. Adam Schiff, D-Calif., the top Democrat on the House Intelligence Committee, said in a statement to ABC News. Rep. Elijah Cummings participates in a panel discussion during a summit on the country's opioid epidemic at the Johns Hopkins Bloomberg School of Public Health in Baltimore, MD, Oct. 30, 2017. They intend to explore questions about the Trump Organization's finances, including the relationship between the family business and Deutsche Bank, which has financed some of the Trump Organization's real estate deals and was fined last year for a $10 billion money laundering scheme. They want to review, among other items, what they have called "credible" allegations about the use of Trump properties by Russian oligarchs to launder money. The effort could involve hiring investigators with specialized data and forensic accounting experience, according to a congressional source. Trump has denied doing business in Russia, apart from the Miss Universe pageant. Democrats also want to continue investigating Trump campaign's digital operation and relationship with data firm Cambridge Analytica. The company, which shut down in May, is still being investigated by British authorities for alleged improper use of Facebook user data. Republicans have pushed back on Democrats' criticism, arguing that they conducted oversight into cabinet secretary spending and travel, and investigations into concerns of political bias at agencies like the Justice Department. They also accused Democrats of working to discredit the president. Democrats “have proven beyond any doubt that their sole aim is to run an endless investigation against the administration in hopes of pinning some imaginary horrific crime on them,” Jack Langer, a spokesman for House Intelligence Committee Chairman Devin Nunes, told ABC News. Some Trump allies warn that the Democrats’ plans could stop the president’s agenda in its tracks, and bog down the administration in endless oversight hearings. 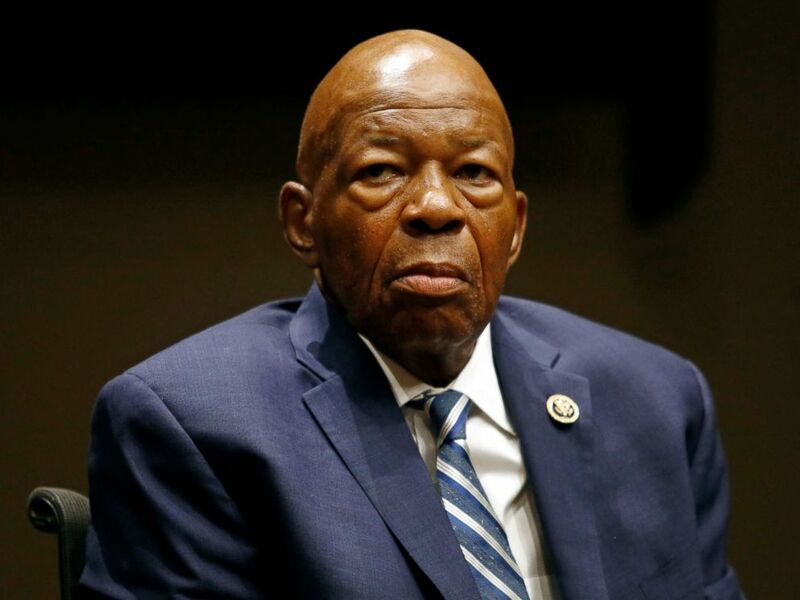 Cummings, who would likely serve as chairman of the Oversight Committee, said he’d conduct two tracks of investigations: one to “expose what has been going on with the executive branch,” and another focused on kitchen table issues including prescription drug prices, postal reform and student debt. He said Democrats would “definitely” redouble investigations into the Trump International Hotel in Washington for what they called conflict-of-interest concerns, related to the spending by foreign governments at the hotel, and the security clearance process at the White House. Trump has dismissed concerns about the D.C. hotel, while the White House has said that no top officials were aware of security clearance concerns with former staff secretary Rob Porter, who was working in the White House amid domestic abuse allegations. House Oversight Committee Chairman Trey Gowdy has led an investigation into the security clearance process at the White House, but has not subpoenaed the White House for information it has refused to turn over to Congress, something Cummings has called for. Other committees plan to ramp up policy-focused inquiries into ongoing administration actions and regulatory changes on health care, immigration and environmental policy. President Donald Trump speaks during a fundraiser in Sioux Falls, S.D., Sept. 7, 2018. Beyond Capitol Hill, outside watchdog organizations are also ramping up their activity and preparing to expand their teams. 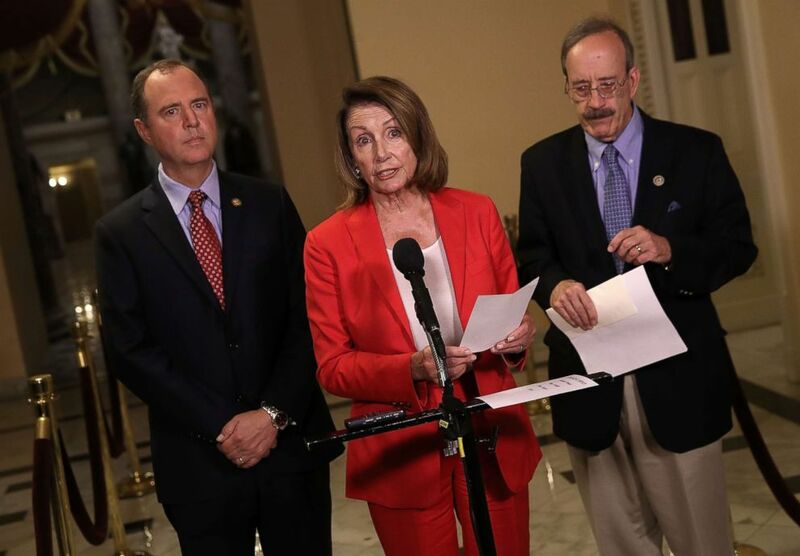 American Oversight, a nonprofit liberal watchdog group, has aggressively used Freedom of Information Act investigations and legal challenges to mirror congressional Democratic investigations, a practice that it said it would escalate with a Democratic House. 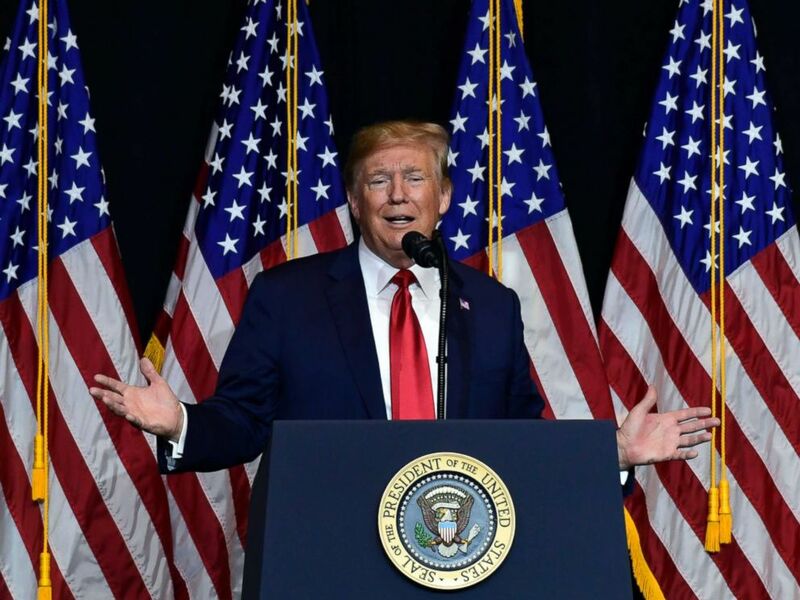 "Our plan is to essentially set up as many parallel external investigations as possible to increase the likelihood that the Trump administration will face accountability," Austin Evers, the executive director of American Oversight, said in an interview. Under this scenario, a White House that is already grappling with Mueller’s probe and the looming departure of White House Counsel Don McGahn could be forced to manage the fresh investigative onslaught. “It’s not going to be enough to go on Twitter and say, ‘This is a witch hunt!’ and not cooperate,” Kurt Bardella, a public relations consultant who served as an aide to former House Oversight Committee chairman Rep. Darrell Issa, R-Calif., told ABC News. Republicans believe Democrats will target the president and move to impeach him should they seize power in the House. 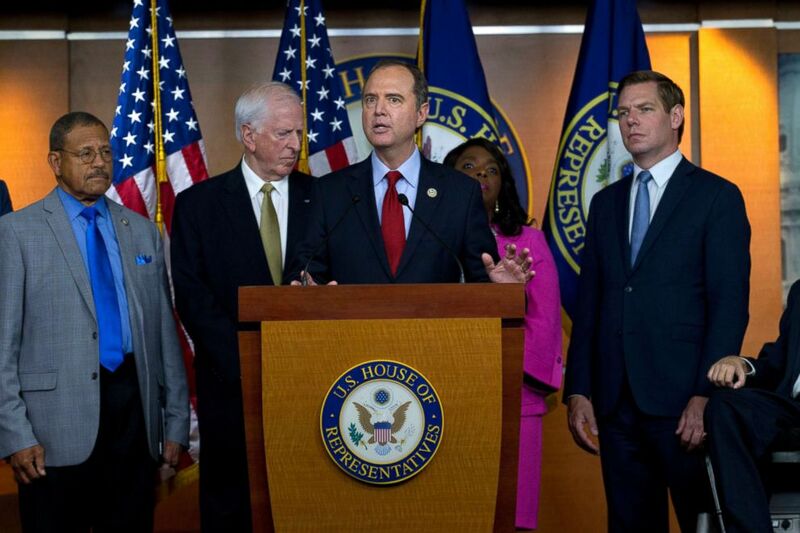 Rep. Adam Schiff speaks during a news conference on President Donald Trump's meeting with Russian President Vladimir Putin in Helsinki at Capitol Hill in Washington, July 17, 2018. While progressives have tried to force votes on articles of impeachment against Trump, senior Democrats, including Schiff, House Minority Leader Pelosi and House Judiciary Committee Ranking Member Jerry Nadler, D-N.Y., have said they want to see the results of special counsel Robert Mueller's investigation before contemplating potential impeachment proceedings against the president.